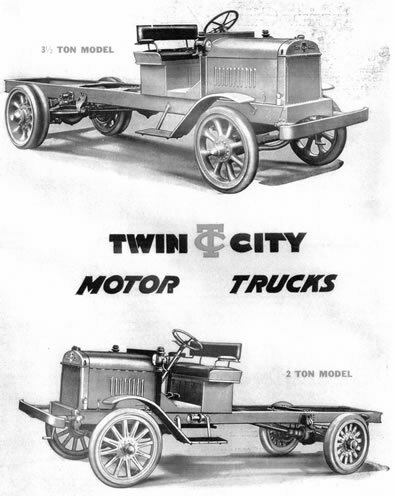 Minneapolis Steel & Machinery Company entered motor truck production in 1918. Descriptive historical text appears to be in short supply as there is little known about this development. 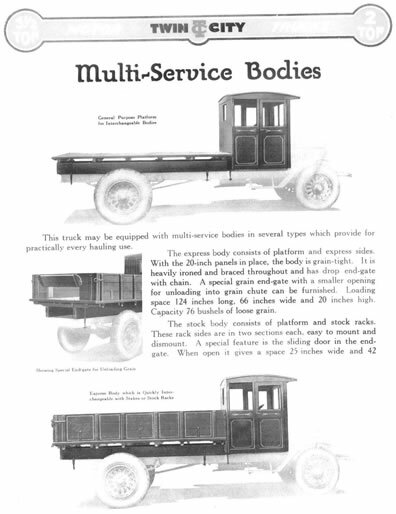 There were 2 ton and 3 ½ ton trucks produced along with some chassis that were designed to become passenger buses. No production figures or serial number guides have been recovered. 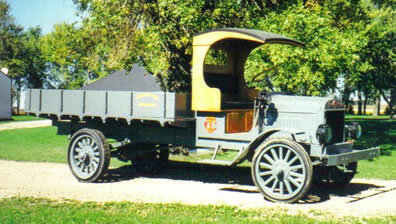 It is believed that the trucks were made for several years, well into the 1920s. Through surviving photographs, these trucks are seen enduring some extremely heavy work loads. 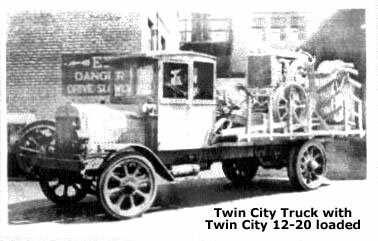 The 2 ton truck used a Buda flathead engine with 4 X 5 ½ bore and stroke. A three speed Fuller transmission was mounted directly behind the engine and clutch. A lengthy Arvac 3 joint drive shaft with ball bearing hanger sent power to a Clark internal gear drive rear axle with single rear wheels. A Ross steering gear with 18 inch steering wheel provided direction, and a 20 gallon under seat fuel tank dictated travel range. Front and rear wheels are select second growth hickory, with hard rubber tires. At some point pneumatic tires were also provided. The entire set of components were mounted on a 6 inch steel channel frame. 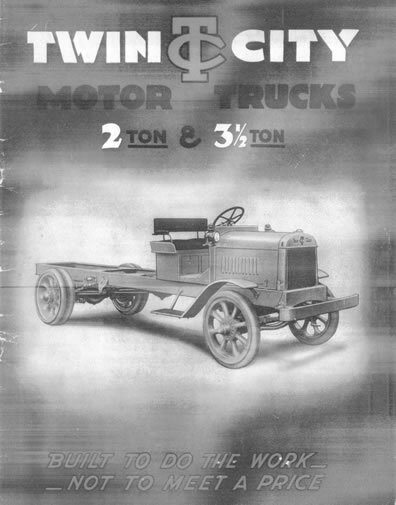 The 3 ½ ton unit was powered by the same 340 cubic inch, twin cam, sixteen valve, four cylinder used in the 12-20 tractor. 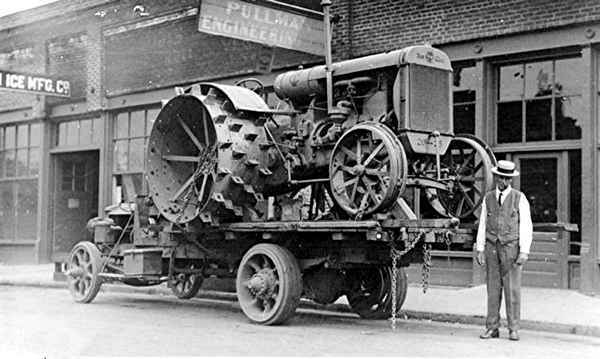 A Fuller four speed transmission was mounted mid-ship between Flexite and Spicer universal joints. The driver’s choice of direction went through a 22 inch steering wheel to a Ross steering gear. The under seat fuel tank was increased to 23 gallons. Front and rear wheels are Smith malleable iron. The back half of this truck was engineered for severe duty. 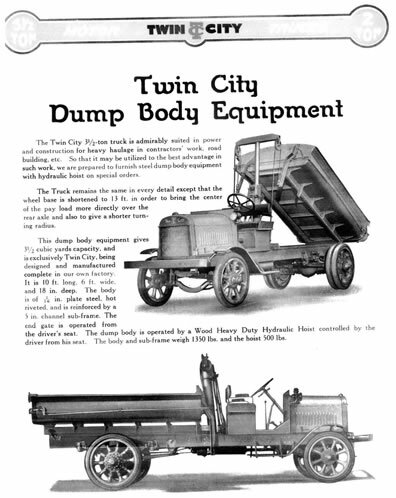 At the rear was a large “top drive” Timken-Detroit full floating rear axle assembly with dual wheels. Heavy spring packs are securely mounted to the frame via large pins, shackles, and a set of sizable steel radius rods. This is impressive engineering for the time of manufacture. The extra capacity running gear was mounted to an 8 inch steel channel frame with large hot rivet gusset plates. 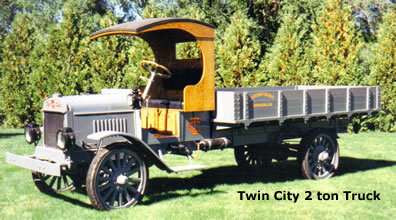 Currently there are six known surviving Twin City trucks that match factory specifications in an authentic manor. Two 2 tons and one 3 ½ ton have been restored. 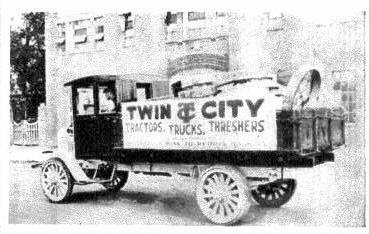 Obviously, these trucks are highly coveted among Twin City enthusiasts.